Glad to be back on track. Three weeks until my first marathon, and finally my Achilles is starting to feel a whole lot better. It’s pretty miserable sitting on the sidelines after putting in so much preparation. Reminded me a little of my senior year of collegiate soccer. I spent the entire summer getting into the best shape (until now) of my life, and right before my first scrimmage, I pulled my hamstring. But, I’m slowly learning that REST does a body good as well. Achhhhooooo!!! Okay, so my leg is feeling better, but Friday morning came the wrath of allergy attack. I could barely even hold my eyes open. Although, I’m feeling better today, I just feel exhausted after my run. Not getting enough oxygen, I’m sure. I slept through my training run yesterday promising myself to get up and go today on my own. This was a little daunting for me to attempt, since the most I’ve ever run on my own has probably only been about 7 or 8 miles. I told myself, I won’t be “running with” anyone during my race, so better get prepared now. Also, on my run today I overheard a cyclist mention that running a marathon is on his bucket list as they zoomed passed me on their bikes. Good thing, I seem to have impeccable hearing, because my sight is failing me daily. It got me thinking. Maybe, just maybe, I should create a bucket list. I surely don’t think I would consider running a marathon as a bucket list item, because to me it seems like anyone to could do it if they just tried. Maybe, I’m just becoming one of those people. You know? One of those people that have set my mind to accomplish something, so I volunteer as the over peppy cheerleader for everyone else. So, here’s a rough draft of some things on my bucket list. 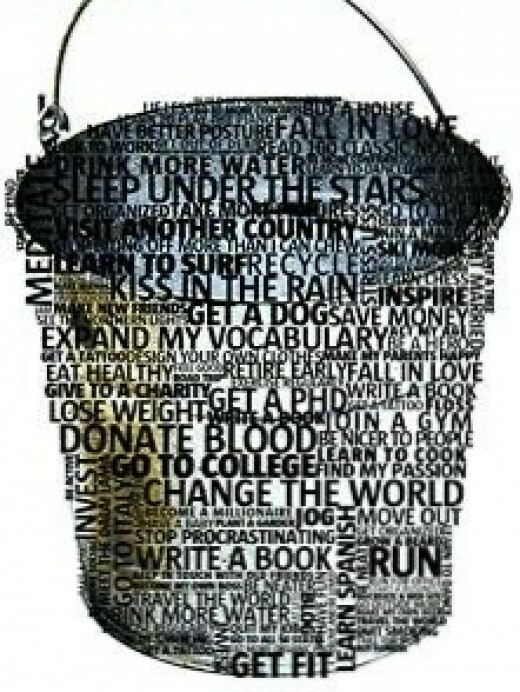 What are some things on your bucket list? What are some things you’ve already crossed off your list?